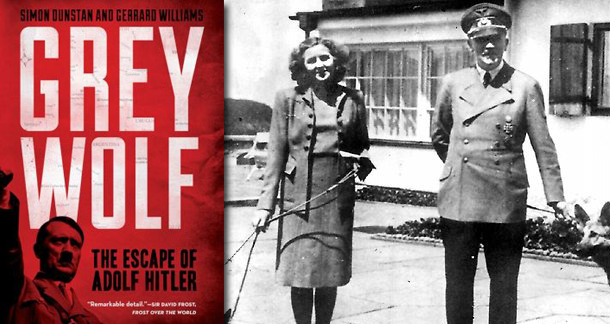 Arguing that American intelligence officials turned a blind eye to Hitler's escape in return for access to Nazi war technology, Gerrard Williams and Simon Dunstan set out the case for a scenario almost too horrible to contemplate: that the Führer and Eva Braun made a home in the foothills of the Andes and had two daughters. So far, so conspiracy. Williams is a TV journo who’s worked for the likes of the BBC and Reuters and, along with his co-writer, denies the claims. "Basti did in no way invent the idea of Hitler being alive in Argentina," Williams told the Observer. "Books on the subject existed as far back as 1953 and 1987. I have never plagiarised anyone's work. Simon Dunstan, as the author of over 50 books on military history, hasn't either. We're both very aware of the law." Earlier this year, the book was made into a documentary, by the company that had originally paid Basti for his research and assistance — he signed a contract conferring the rights and everything else to Williams’ company. Williams feels Basit hasn’t got a leg to stand on, saying he "cannot see how quoting from taped interviews, thoroughly sourced to the company who made it implicitly clear that it was their material, is any sort of violation of copyright". The book has been panned by historians, of course, but my favorite quote is from Guy Walters, calling the book "2,000% rubbish… It's an absolute disgrace. There's no substance to it at all. It appeals to the deluded fantasies of conspiracy theorists and has no place whatsoever in historical research," he said. Which begs the question: if you sell your research, do you have any room to complain?